RB Mack Brown tries to jump through the hole. 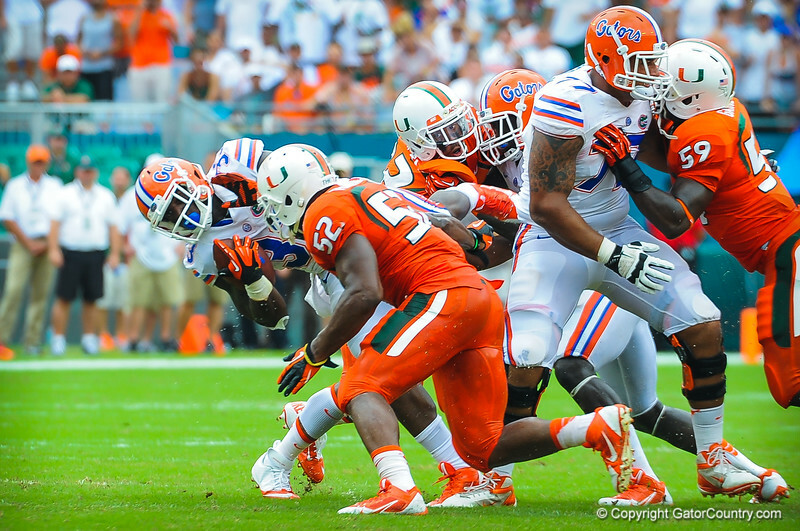 Gators vs Miami. 9-07-13.